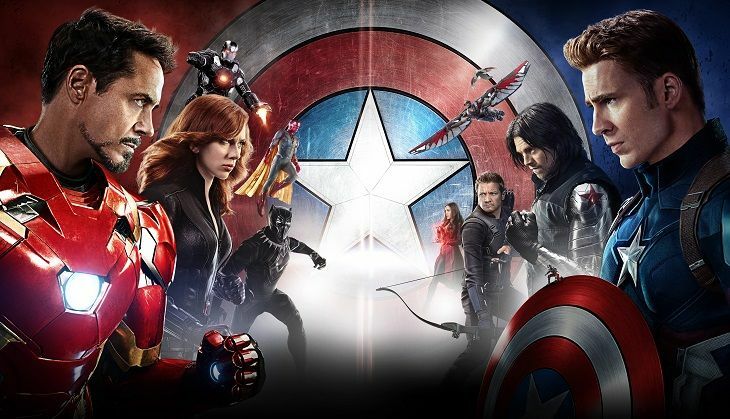 Captain America: Civil War embarked onto a good start at the Box-Office as the film raked in Rs 8.53 crore on its opening day. The superhero film featuring Iron Man, Spider Man, Captain America amongst other superhereos fared excellently at Mumbai and Delhi; however, collections were dented down South due to Suriya's much-anticipated film, 24 which had a record start. While the collections are good,they could have been better considering the fact that Avengers: Age of Ultron recorded a better start at the Box-Office. Civil War is the fourth highest Hollywood opener of all time. Critic reviews have been mostly positive and the audience word of mouth, too, is on the positive side. The biz will witness a growth on Saturday and Sunday which would ensure a healthy opening weekend number. The hold on Monday will decide if the film stands a chance to breach past the Rs 100 crore mark at the Indian Box-Office. READ NEXT >> Nawazudin Siddiqui's Raman Raghav 2.0 teaser will give the chills!